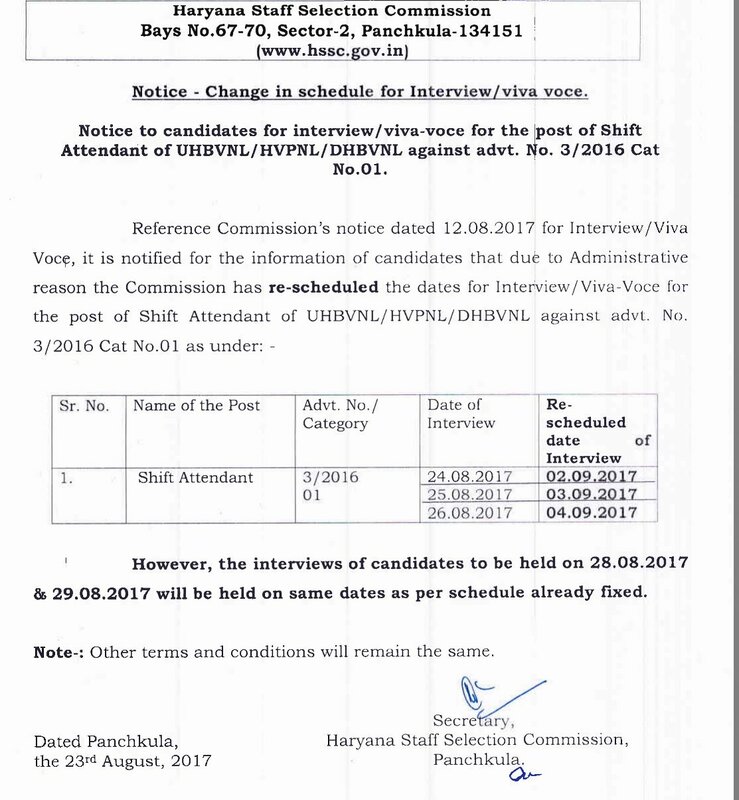 HSSC Shift Attendant Interview Schedule Change . 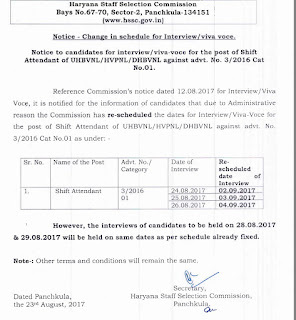 Interview for the post of Shift Attendant,UHBVNL/HVPNL/DHBVNL, Against Advt. No. 03/2016 Category No.01.